The number of patents submitted by the Endress+Hauser Group continues to rise. As reported during the annual innovators’ meeting held this year in France, the Group submitted 287 initial patents in 2018, a new record. Endress+Hauser owns nearly 7800 active intellectual property rights worldwide. Angelika Andres, corporate director, intellectual property rights at Endress+Hauser, is pleased with the most recent activities. “This year we once again achieved a record number of innovations, both in the number of patent filings and the number of approved patents,” said Andres. Roughly one-third of the patent filings are related to the Industrial Internet of Things (IIoT), digital communications and instrument diagnostics. Under the motto #empowerthefield, in 2018 the measurement engineering specialist began to bundle its digital activities with a focus on Heartbeat Technology, as well as the recently introduced Netilion IIoT ecosystem. Each invention undergoes a multistage internal evaluation process before submission to the patent office, usually within four months. To handle the stream of innovations, in 2016 an internal patent department was created in the U.S., one of the group’s most important markets. Four specialists at the Greenwood, IN location are responsible for protecting the technical innovations. This team has full responsibility for handling all patent filings from the group companies located in the U.S., plus up to 80 percent of the overseas filings. 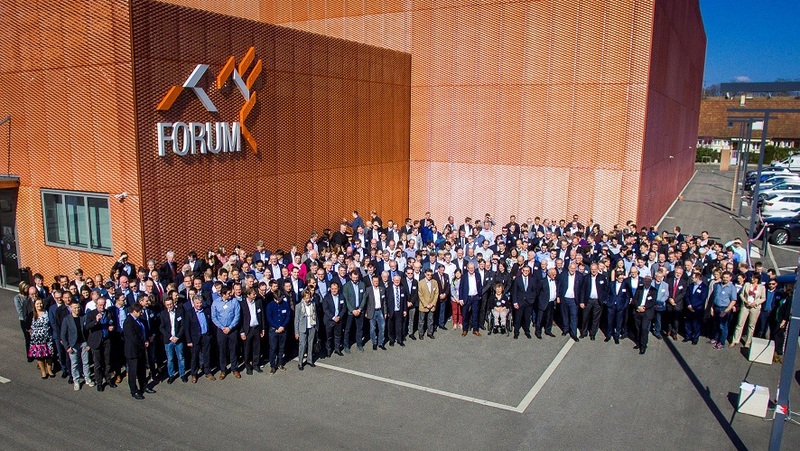 Under the motto “Innovation – what makes us human,” Matthias Altendorf, CEO of the Endress+Hauser Group, as well as other members of the executive board, welcomed more than 300 guests to the annual innovators’ meeting, which was held in late March in Saint-Louis, France. Employees involved in patent filings presented their innovations during the company’s traditional get-together. Exceptional innovations were recognized with special awards.